Today the rugs are more popular than ever. You can arrange a room with one, two or even three rugs to highlight different functional areas. But you need to know how to make it correctly in order not to spoil the interior. 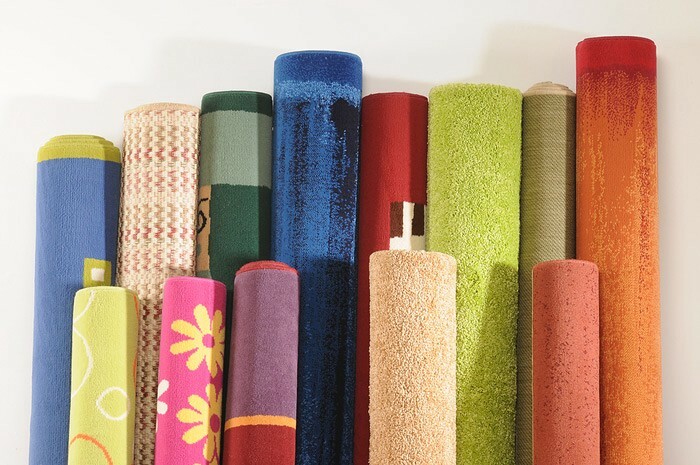 So let’s determine how to choose rug materials. Natural materials such as wool and silk have been used for the carpets production for a long time. But modern manufacture uses not only natural materials, but artificial materials such as polypropylene, nylon, rayon and others. Wool rugs are chic and expensive classics. Traditionally, these rugs are made of warm, soft to the touch and durable wool. They have elastic piles, which are often characterized by the fire-prevention properties. Wool carpets look solid and noble, but apart from that, their service life is up to 20 years! The disadvantages of wool rugs are fast contamination that requires frequent cleaning, and liability to the moths influence. However, modern manufacturers prevent the natural disadvantages of wool fibers by soaking with special stain-resistant and anti-moths substances. Also wool fibers absorb dyes worse than their synthetic counterparts, thus their color isn’t so bright. But again there’s a plus: the dyes almost don’t fade, so wool rugs will remain bright for years. Another organic material used for the manufacture of carpets is silk. Silk rugs are constructed from natural fibers created by caterpillars of the silkworm. 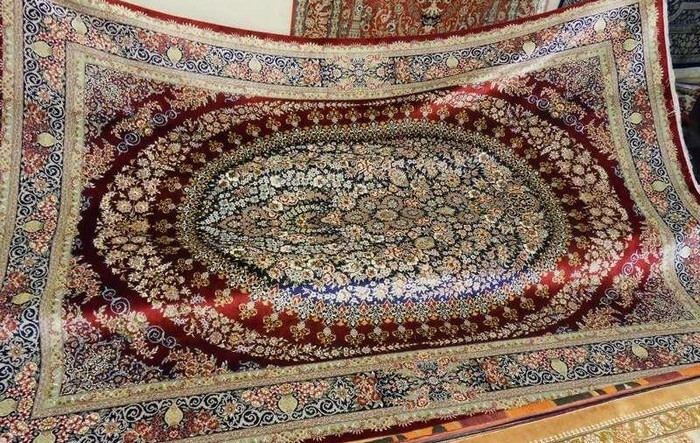 Silk carpets are much more expensive than wool, but their properties compensate for the money spent. They look adorable due to the unique brilliance of the pile; they are soft to the touch and extremely durable. Flexible and durable silk thread allows a detailed carpet pattern creation, since it is very thin. However, the disadvantage is that silk carpets are prone to fading because of long exposure to direct rays of the sun. They can also run in the wrong wash.
Rugs made of cotton absorb moisture and is able to pass air. Natural cotton rugs are characterized by high thermal conductivity and they are easy to clean. Their prices are quite acceptable for a wide range of buyers. Among the disadvantages of rugs made of cotton is a tendency to shrinkage and deformation, as well as low elasticity. A man-made fiber, viscose is made from a natural material called cellulose, derived from fir and pine wood. 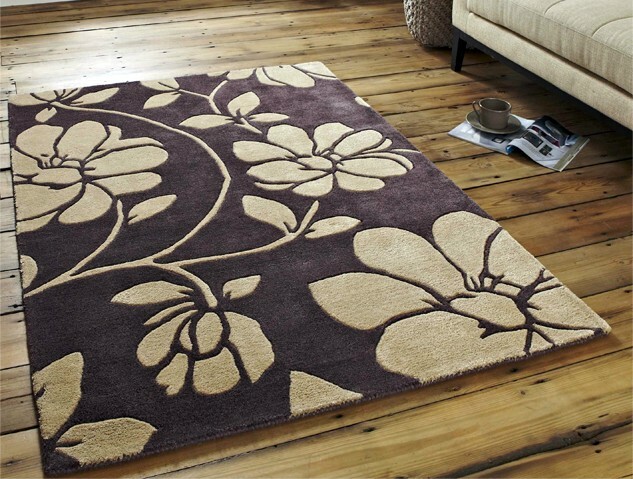 Therefore viscose rugs are considered artificial, but they are good substitute for natural materials. By the way, viscose looks like a silk, and so it’s called “artificial silk”. Viscose yarns are easy to color, so the covering would be bright and colorful with a slight sheen. Rugs made of viscose are durable, they are not electrified, do not rub, so they are great in areas with large people traffic. However, the shortcoming of viscose rugs is their ability to absorb moisture. The family of shrubs, which include well-known lime tree. 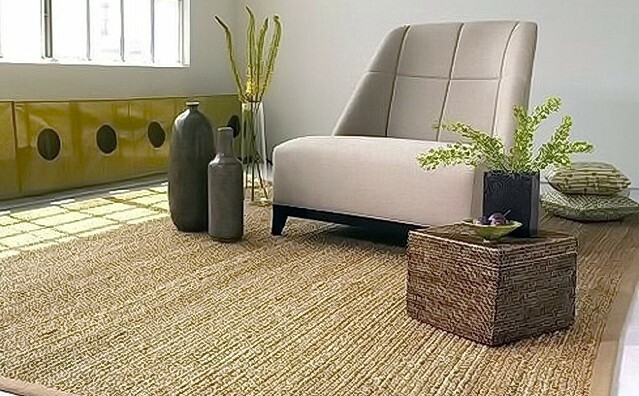 Rugs made of jute are environmentally friendly; they are strong and very inexpensive. The disadvantages of jute rugs are the negative effect of water on carpet, they begin to shrink. Also it may be difficult to clean stains. 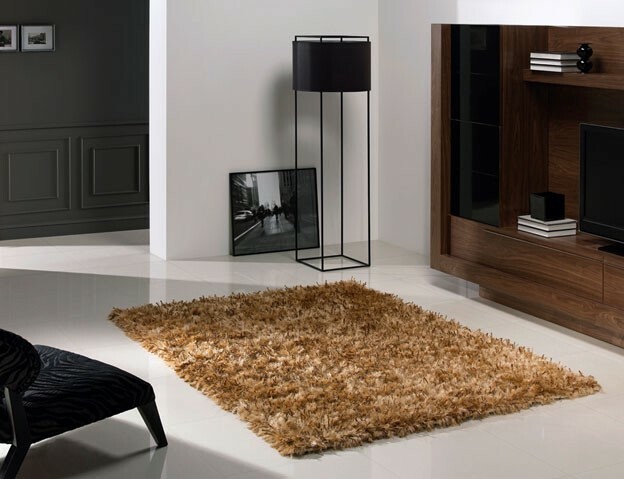 Leather rugs are warm, soft and durable; they are stain-resistant and easy to clean. 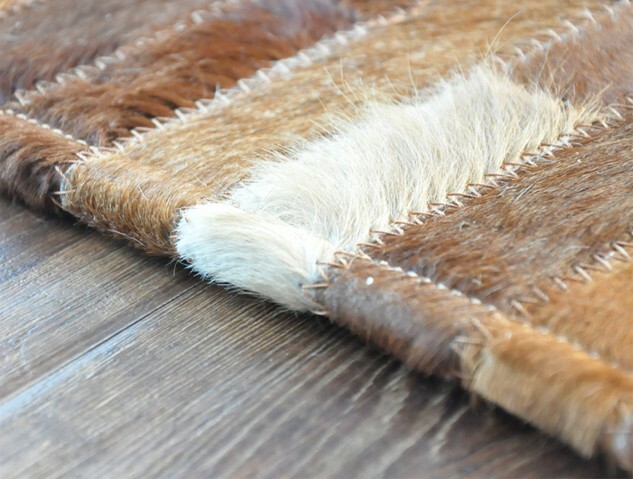 Leather and natural hide rugs are designed to bring a cowboy vibe and add a stylish accent to any room’s decor. Their disadvantage is an expensive price. Also avoid using leather rugs in damp or humid rooms. Synthetic materials commonly used to manufacture contemporary rugs. Synthetic carpets are characterized by bright patterns, strength, elasticity and good fire-prevention properties. Nylon rugs are inexpensive; they are durable and highly resistant to wear. Synthetic rugs are resistant to pernicious influence by various microorganisms and do not lose their shape. Their disadvantages: the ability to fading because of the burning in the sun, as well as the risk of becoming fragile and rigid. Polypropylene rugs are among the most stain- and fade-resistant. Due to the fact that the polypropylene thread is completely smooth it is impervious to dust and dirt. This type of rugs is easy to care for, clean the surface with a vacuum cleaner, and it gleams with cleanliness. Rugs made of polypropylene are bright and beautiful, but they are not wear-resistant. In addition, polypropylene rugs lose their beauty after 4–5 years. We hope that our review about the most common rug materials and their pros & cons will help you to choose the perfect carpet for your home.